As a homeowner, I can’t tell you how many times I’ve wished that it didn’t fall to me to fix every problem that arises. From my roof leaking to a dead air conditioner to cracking grout, I’ve seen my share of good, bad and ugly in terms of home maintenance. But here’s the good news – you can get a home warranty. Yes, you heard me right, a home warranty. I had never heard of this until I became a homeowner, but I’m so grateful that each of our homes has had one. Because let’s be real, something will break. And it’ll probably be during a deployment or TDY when 8 million other things are going wrong. 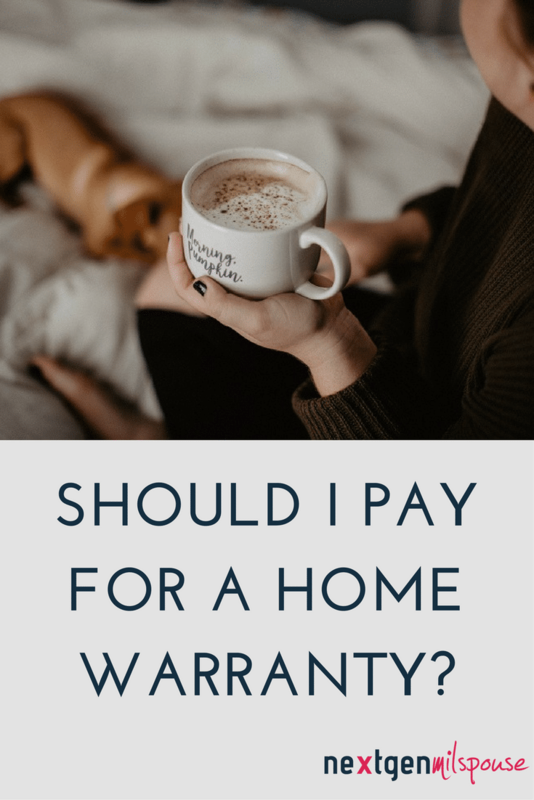 A home warranty is typically a one-year agreement that covers repairs or replacements of major home appliances or systems, think refrigerator, air conditioning, plumbing, and electric, due to normal use. Things that won’t be covered: your home’s foundation or the roof. You should consider getting one when you are buying your home. Ask your realtor if it can be negotiated into the sale, the owner of our current house paid for the first year of our warranty as part of our sale. A home warranty is NOT homeowner’s insurance. That is separate and covers the cost of your home in case of theft, natural disaster or fire. If you are buying a brand new home, the builder may provide their own warranty. Our first home was new and the builder had a tiered warranty – things that they covered for the first year, 5 years and 10 years. This included more structural things as they were guaranteeing their work, but it also covered fixing a shelf in one of our cabinets and replacing grout in our kitchen that didn’t hold up well. Something will break. 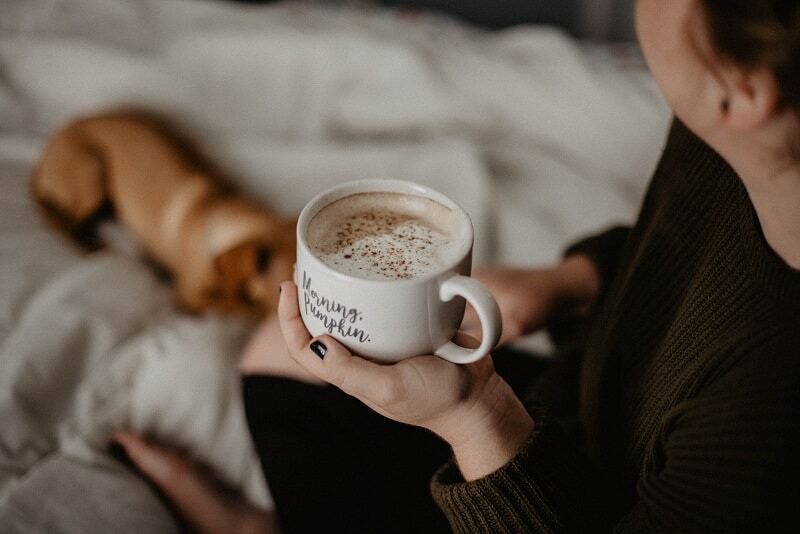 Not to be Debbie Downer, but you don’t know everything about your new home and life happens, so you want to make sure that you are covered and things can be repaired. They take care of finding contractors for you. When you’ve moved to a new area you don’t have a clue where to get a haircut let alone a plumber. If something breaks all you need to do is call your warranty company and they will have a local contractor call you to set up an appointment. This saves you time and gets your house fixed faster. Peace of mind. As I mentioned, when we bought our second home the sellers paid for a warranty for one year, but my husband and I decided to renew it for another year since he was deploying. This gave him peace of mind that our house would be taken care of while he was gone and eased my stress of who to call when Murphy’s Law inevitably hit. Controlled cost. With a home warranty you will not have to pay for the entire repair, if the issue is covered. You will be responsible for a nominal service fee (think of it like a medical insurance co-pay) and the rest is taken care of by your warranty company. So my broken air conditioner? It only cost me $75, when it could have been a few hundred for parts and labor. You want to pick your contractor. If you know the area or are handy or just want to have control over who you hire to fix your home, a home warranty may not be for you. With a home warranty, your warranty company will use a contractor that they have an agreement with and you won’t have much (if any) say in the process. Our dishwasher had a reoccurring issue and the same repair company came out to my house 3 times to replace the faulty part. The fourth time we got a different company, but to be honest, I’m not sure if it was due to availability or change in contracts or they decided to send someone new. If you’re a pro at Angie’s List and Yelp, then you may want to opt out. You want service ASAP. Our home warranty has a policy in which the contractor has 24 hours to contact you and schedule a visit within the next 2 days. Now, in case of emergencies, this is obviously not the case, but if you want faster service, it may be in your best interest to hire people yourself. The only time that I wasn’t satisfied with the repair time was with my air conditioner. Summer had officially hit and everyone’s a/c died the same week, which meant repair companies were busy. Yes, they came and fixed it within 48 hours, but in the meantime, my daughter and I stayed with a friend since our house was far too hot for us. Even though I was skeptical of our home warranty at first, I’m glad that we had it. It has covered the cost of replacing our dishwasher, fixing a shower and giving me sweet cool air again. Our home warranty has saved me hours of time researching the best repair companies in our area and gotten service (relatively) quickly. When we buy another house, I will probably look to get another warranty, if only to cover that first year when we’re still getting to know the area. Do you want to hear more about Jessica’s adventures in home ownership? She gives her tips and tricks for military families frequently on the NGMS Happy Hour podcast. Subscribe to the NGMS Happy Hour podcast on iTunes or GooglePlay today.